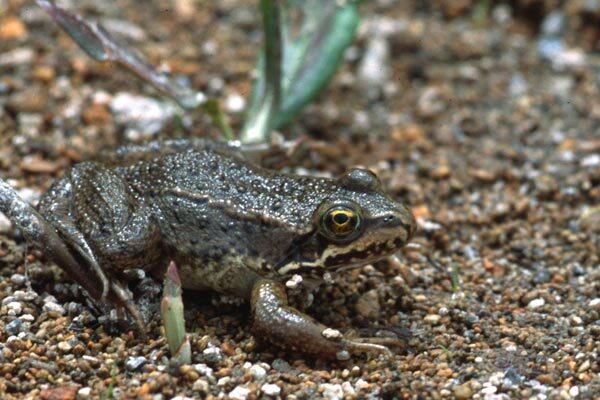 This frog is highly endangered, known to exist in only a dozen or so sites in central Oregon. 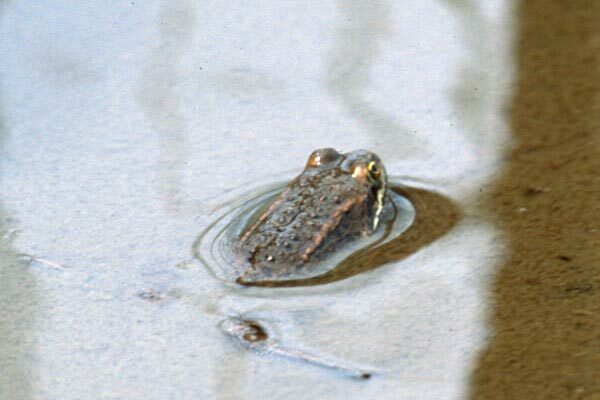 It used to be far more common, but voracious bullfrogs and developers have greatly reduced its range. We specifically went to Crane Prairie Reservoir in search of it, which paid off nicely since in addition to this frog I saw three nice gartersnakes and one extremely wonderful toad.